Would you believe, from where your new application receives its first impression? If you don’t know then you need to read this whole article so that you can make sure that you are good a welcoming your new users. The basic science behind the successful application is its potential at which it gives its user ease of use. Either, the application is of enterprise level or customized platform. The first help user wants from its maker is to get the installation aid. Make sure while you use is just a step away from downloading your application you are there, for helping them in a professional manner. 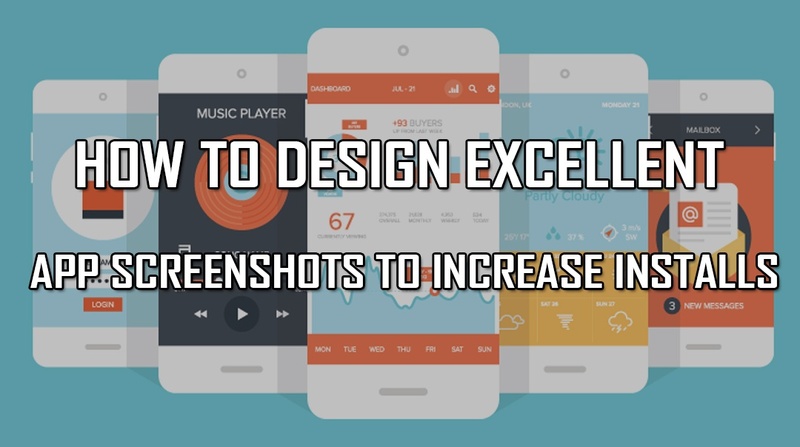 This article will cover complete detail of How to Design Excellent App Screenshots to Increase Installs and about different tools and tips to design screenshots for both downloading and boot installs. Why Screenshots if User Guide? It is a very usual question that we experience on most of the developer community sites, that if the application already has user guides and manuals and several sides for fixing the expected errors then why it installation needs to be taught via screenshots? The reason is there are various ASO (App Store Optimization) factors that actually have a significant impact on the conversion rate of your application and install volume. One of those factors are the screenshots that appear on your application listing on App store. Whenever the idea of giving screenshots while launching your application we are more concern about the eye-catching layout of application and keywords embedding more than giving assistance regarding installation. That’s completely a bad practice. Maybe, for some reasons, we don’t consider it a powerful tool for good marketing that can help us in increasing our conversion rate. It is actually advertising banner that helps you promote your application and draw attention and makes individual interest in its upcoming expected version and updates. How Can We Create an Outstanding Screenshot? While we focus on promoting our application through different channels, we forget about optimizing that can be as simple as changing application screenshots of app listing. Here is the list of ways of creating amazing screenshots for your application. AIDA is defined as A for Attention, I for interest, D for Desire and A for Action. It is basically a copywriting technique and best way of marketing and advertising your niche to customers. It says attracting user attention, generating interest of people by telling them product’s benefits and services, convincing user about the need they have for such service and encourage the user to take action respectively. Your set of events and all happenings must be attractive enough to bring users attraction and your concern at one page. People usually do not prefer reading long write-ups and want to read the necessary stuff involved When we talk about making screenshots then things should be managed smartly in such a way that it appeals user as well as it gives it all information precisely. This is one of the smart ways of advertising and engaging your user by just showing them application traits with headings and to the point content. Let get this bit technical. Uploading images abruptly is not a good idea, but uploading them according to the device compatibility is necessary. Always try to upload the high-quality image in PNG and JPG format and make sure you follow the right guide for uploading an image. Here are the few dimensions you must see before you upload images. The other thing is the sequence being followed while uploading pictures. Do not upload all pictures in one go rather put them sequentially. Try to name them in a specific order i-e from login to log out. Always write a description below each image to let the user know what screenshot is about. For your application try to upload maximum 5 images. Images should be meaningful and cover all possible concerns of users. Every application serves for some specific purpose. In most of the cases, online installation guides are filled with unnecessary stuff that doesn’t cover the important features of the application. Although it is among the important Key Factors You Need to Remember while Initiating your Mobile App Business, but often neglected. This not only takes user attention away but also shows the impact that your application is nothing but some casual thing to be ignored easily. For example, your application has the purpose of connecting people together. Then try to put the incoming and outgoing messages, calls (if it supports), and other media sharing communication rather than the color combination and glittery stuff, which has no technical use. This is the most common practice we see while downloading an application. Developers or owners some time exaggerate the functionalities of application which is not even available in the application. Make sure you do not write what your application is not. In this way, you will not only lose your potential customers but also the trust. If you have the intention of giving certain facilities to users you can separately mention them in your future goals. These above-mentioned traits are the important Things to Consider while Developing Mobile Apps for your Business. Now it’s time to learn some of the automatic tools and environment that can help you with developing your technical screenshots that will not only appeal users and will be more useful than just a screenshot assistance. It has millions of images that can be used without any effort. You just need to drag and then drop your screenshots on the panel. It is one of the best app store screenshots platforms that allows the user to create amazing screenshots for App store and Google Play store. It has limited designs and has customized colors with beautiful fonts and designs for your desired screenshot. It is another great platform and extremely easy app store screenshot template design tool. It allows different images, banners, and headers so you can create and build standard screenshots for Google Play store. Since the guidelines we see in Google App store are not that strict as App Store, this is a great opportunity for you if you are not a good designer as it can create different and beautiful designs for your help. Google Play Console allows you to test all icon used in the application and then copy them until you don’t the one that serves the best. It makes best app screenshots. The experiment has shown the best and different options that can help you best installation. You can also add up several screenshots and then be listing them on Google Play Store. 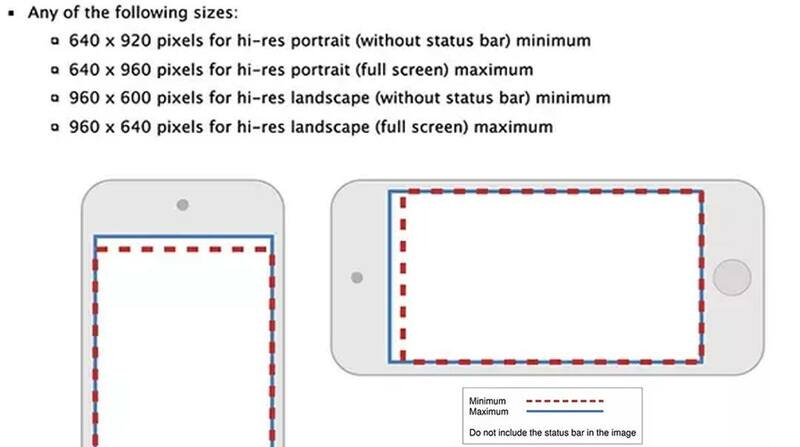 Such images have a huge impact on your app conversion rate. For iOS TestFlight, or Apple beta testing system is available where you can invite up to 2000 user to get their opinion. You can get their feedback so to improve your assistance and screenshot help. Beta testers have maximum 60 days to comment and test each app they are testing. These methods will only be effective if your application will facilitate users from other than the traditional way. Your application must have something that your competitors are lacking. If you think that you own a tremendous application development idea that can help users in a certain way then you should look for Mobile App Development Services. This can help you in developing a standard application. For this visit Coding Pixel website where you will find a team of developers and innovative members to help you with your raw idea into virtual reality at a reasonable cost.